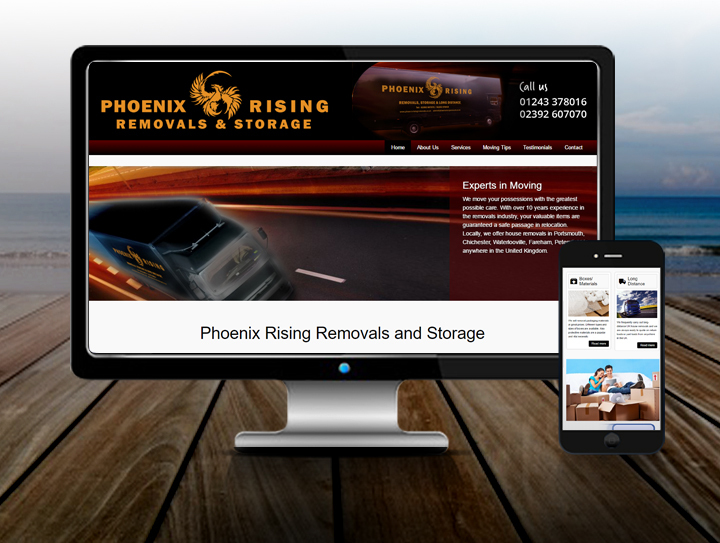 Phoenix Rising Removals wanted a website for their removal firm local to Emsworth. The website was designed for the user to find info, tips and advice for house removals and distance covered. This information site served the client well and we provided him with the facility to edit his own website at ease from his own PC or mobile. The SEO was used for locals to find this company on page 1 of Google. A great deal of copywriting and back links were created in order for anyone to find this company if searching for “house removals” “chichester”, “Portsmouth” or “Emsworth”. All results are number 1-5 on the first page of Google.